JEANNETTE ARMSTRONG IS A SPOKESPERSON for Indigenous peoples’ rights. The award-winning writer and activist, novelist and poet has always sought to change deeply biased misconceptions related to Aboriginal people. Why Indigenous Studies? Armstrong feels passionately that the best way to accomplish this is as a professor of Indigenous Studies, where she gets to research, develop, educate and inform the minds of the next generation. “I get excited when students are inspired and new insights occur,” she says. Be it the classroom or the community, Armstrong cherishes the opportunity to enrich students across a wide variety of topics. 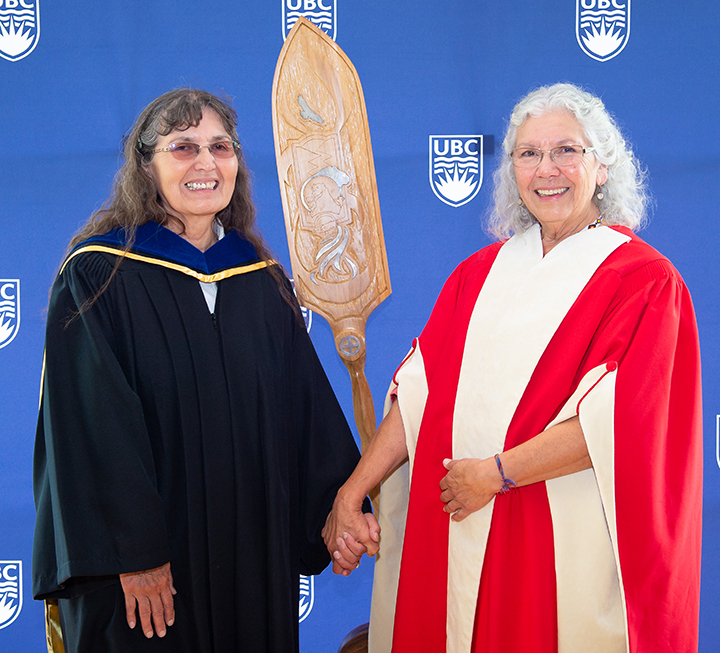 Her research into Indigenous philosophies and Okanagan Syilx thought and environmental ethics that are coded into Syilx literature has been recognized locally and globally, and she serves as an active member of the Okanagan Nation Alliance and the En’owkin Centre. Known for her literary work, Armstrong has written about creativity, education, ecology and Indigenous rights. Slash, which Armstrong published in 1985, is considered by many as the first novel by a First Nations woman. Commissioned by the curriculum project for use as part of a Grade 11 study in contemporary history, Armstrong wanted Slash to connect with and relate to her students. Slash explores the history of the North American Indian protest movement through the critical perspective of the central character, Tommy Kelasket, who is eventually renamed Slash. In the novel, Tommy encounters intolerance and racism in an assimilationist school system but his family encourages him to be proud of his Okanagan heritage. “Slash positions the reader to walk in the moccasins of an Indigenous Okanagan person, encouraging an Indigenous view of that period rather than the one-sided view available in popular media,” says Armstrong. 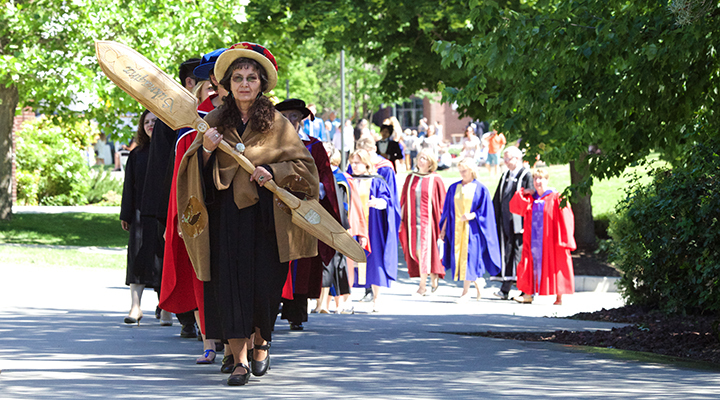 In 2013, Armstrong was honoured for her work and was appointed a Canada Research Chair (CRC) in Indigenous Philosophy. With the prestigious appointment comes an annual award of $100,000 for five years to research, document, categorize and analyse Okanagan Syilx oral language literature. Oral Syilx stories contain a wealth of indigenous knowledge. Much of this knowledge however, is largely inaccessible, because no extensive work to date has been undertaken by a fluent speaker. As CRC, Armstrong aims to address existing barriers to research within the indigenous community by surveying, analysing and categorizing Syilx captikwl (oral story) and smamay (legends) from a variety of published and unpublished collections. Armstrong analyses Syilx traditional knowledge to inform and revitalize contemporary Syilx society, as well as to contribute to ecological and sustainability practices, and to link story knowledge to such areas as Syilx governance, land use and health. Her analysis is being conducted in the Nsyilxcen Okanagan language and includes approvals by fluent language speakers for accuracy of translations. Western conventions have created a cultural blindness to indigenous methods of knowledge documentation in storytelling. As well, analysis of Syilx culture and language contexts has not been conducted using a combination of Syilx story and Western literary conventions. Armstrong’s research makes the Indigenous knowledge of the Syilx Okanagan accessible while providing planning and development support within Syilx Okanagan First Nation communities.